We recently had the opportunity to review the new Readers in Residence Volume 1 (Sleuth) Full Set written by Debra Bell and published by Apologia Educational Ministries. 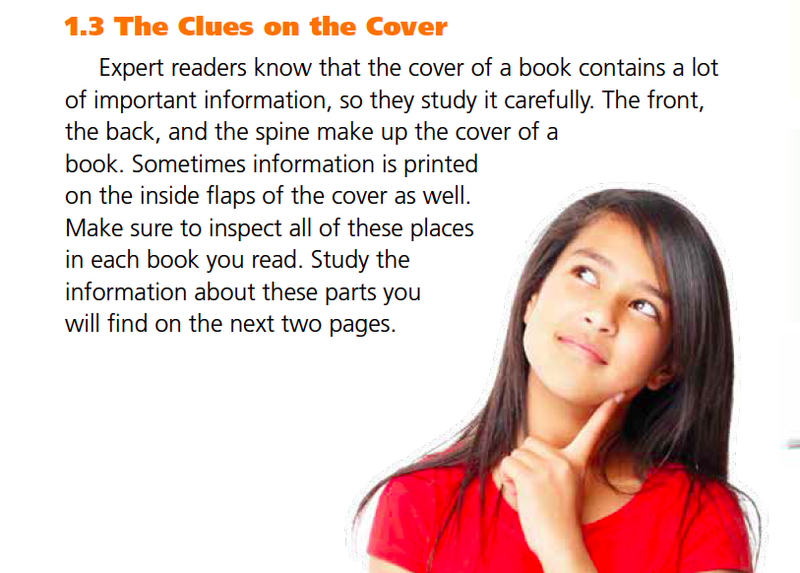 Readers in Residence Volume 1 (Sleuth) is a reading comprehension, literature, and vocabulary program. Topics that it covers includes reading inferences, literary elements, nonfiction and fiction, how to really find the meaning of what the author is trying to teach, vocabulary and even grammatically important items like using hyperbole, personification, metaphors, and punctuation. Readers in Residence Volume 1 (Sleuth) can be used alone or along with the Apologia Educational Ministries Program Writers in Residence. Readers in Residence is written for ages 4th grade and up. It can definitely be used with older student who are struggling with grammatical and literature topics, or just hate those topics. Since Readers in Residence Volume 1 introduces these topics in a fun way through their reading. 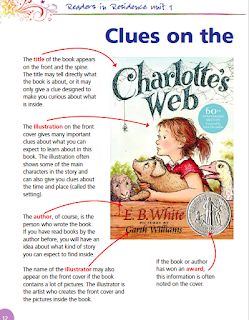 By using favorite classic books like Sarah, Plain and Tall, Charlotte’s Web, and Because of Winn Dixie, students get to practice new skills and reinforce topics that they may have already been working on. Throughout Readers in Residence Volume 1, students get to read books that help to teach them compassion for others and even give them examples of good moral character to draw from. In the beginning of the student workbook, you will find the suggested daily schedule. Readers in Residence Volume 1 (Sleuth) is suggested to be done in a 32-week school year. Ms. Bell has created a program to ignite excitement. Throughout the program, Book club meetings or parties are encouraged with ideas for your student to plan meet-ups with friends and family to discuss favorite books. There are also extra fun activities suggested in these Book Club suggestions. These really are encouraged to help cultivate a love of literature and reading. How was our experience with Readers in ResidenceVolume 1 (Sleuth)? We had the opportunity to review the Full set, which includes the Readers in Residence Volume 1 student workbook and also Answer Key. The Full set sells for $89.00. But you can purchase the Student Workbook for $80.00 separately. Our experience has been very positive using Readers in Residence Volume 1. We have really liked it. Lydia and I have worked our way through Sarah, Plain and Tall. The suggested time frame does not overwhelm student or family. 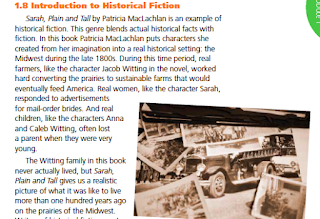 As we were reading Sarah, Plain and Tall, I loved how much extra information was included, such as historical fiction to really open up Lydia’s eyes to this part of history. Elements of literature that were introduced included non-fiction vs. fiction, making predictions about what she thought would be happening, and she was even encouraged to look at the cover of her book and then create her own book cover. What would she change and make different? There was information on the author to learn more, and I really liked how Ms. Bell compared books to recipes. 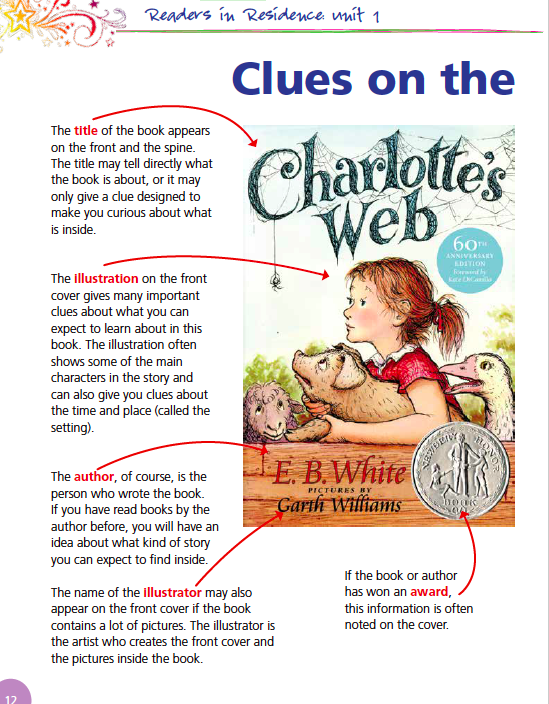 Every section of a book provides information to make the story complete. 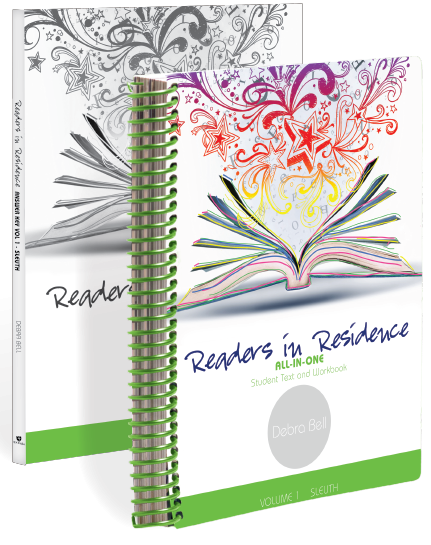 Readers in Residence Volume 1 (Sleuth) is a consumable workbook, so you do need one for each student. But they are sturdily made which a non-crushable spine. That’s a huge deal considering Lydia is not the greatest at taking care of her textbooks. Plus getting thrown in her backpack for van-schooling has a tendency to get pretty rough on the covers. Readers in Residence Volume 1 (Sleuth) brought back to me the importance of literature in education. I was reminded of how easy it is help your student learn key aspects of literature. It really just takes some really good classical stories that kids are going to love. I can’t wait to see what Volume 2 will be bringing in the future. Several members of the Homeschool Review Crew were given the Opportunity to review Readers in Residence Volume 1 (Sleuth) from Apologia Educational Ministries. Take some time to click the link below and see how they used this in their homes and what their families enjoyed.